Ball transfers from 1/3 to 1/3 keeping good posession. 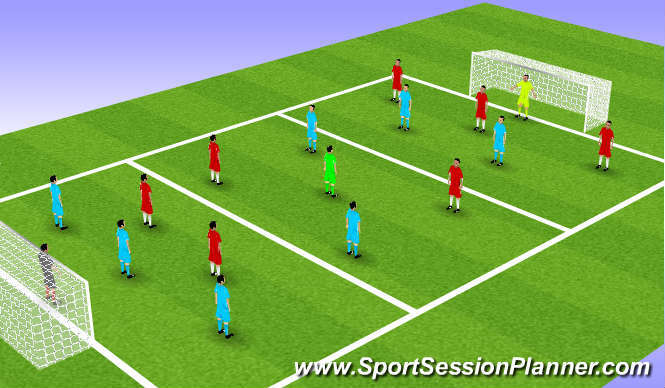 midfield 1/3rd plays plays into striker and midfield player can join striking two player to form a 3v3, to score. Back player have overload to assist in quality of play from start. Session was to a high standard of play brought supporting runs from midfield to right for player who required this from the individual assessment week, but also brought the two week coaching cycle in to play with PROS.